This unique Stacker formula is a whole new approach to weight loss. It’s an effective fat-burning weight loss formula, containing 100% natural oils and ZERO stimulants. With it being caffeine-free, Black Burn STIM-Free is a perfect weight loss formula if you don’t like that rushed feeling caffeine gives you, or if you’re looking for a weight loss supplement you can take in the evening before going to bed. 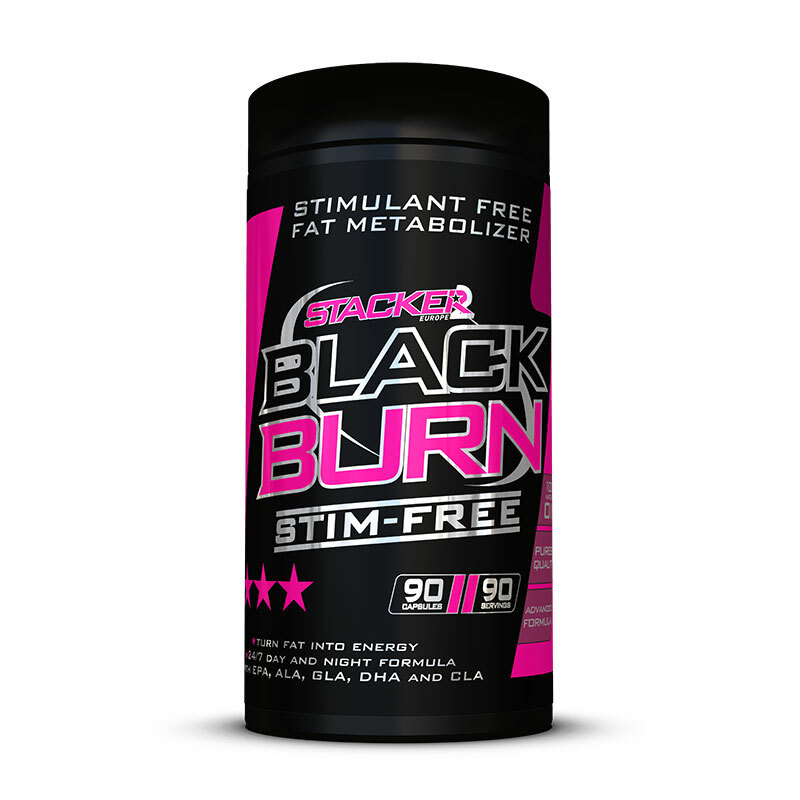 Black Burn STIM-Free is the number one ‘stimulant-free’ fat metabolizer! Black Burn STIM-Free is the perfect choice for anyone who wants to avoid stimulants while looking to reduce body fat and lose weight. The formula consists of 4 active ingredients extracted from natural oils. Only the highest quality, the purest and most potent blend is used: eicosapentaenoic acid (EPA), docosahexaenoic acid (DHA), alpha-linolenic acid (ALA), gamma linolenic acid (GLA) and conjugated linoleic acid (CLA). Various studies have shown that the combination of these four fatty acids makes an important contribution to reaching your target weight when following a weight-loss program. Black Burn STIM-Free has been proven effective for weight loss and maintaining your target weight. This is a food supplement. 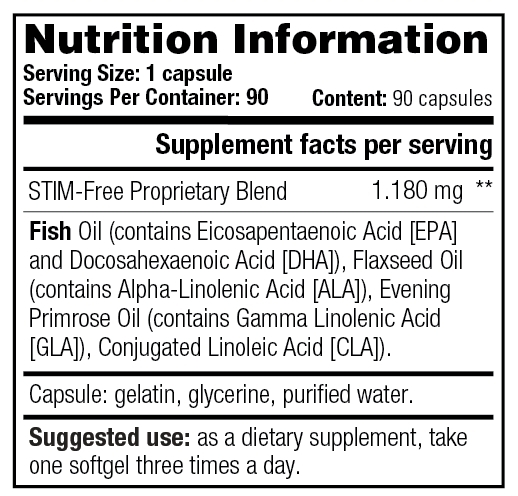 Food supplements should not be used as a substitute for a varied diet. This product is to be used in conjunction with a sensible diet and exercise program for best results. Please store in a cool, dry place and keep out of reach of children. This product is not intended for anyone under the age of 18. This product is not intended to diagnose, treat, cure or prevent any disease. Never exceed the recommended dose. As a dietary supplement, take one softgel three times a day. Can I take Black Burn STIM-Free before I go to bed? Yes, as Black Burn STIM-Free doesn’t contain any stimulants it’s suitable to take it before you are going to sleep. Great slimming effect, fantastic because it is free of stimulants and works fast.